Best Black Friday Deal on a Hot Tub Ever! Warm up the holiday season with the best Black Friday Deal ever offered on a hot tub! Get ready, and make room for the Limited Edition Cal Spas Pacifica Hot Tub. Cal Spas Pacifica Black Friday deal is one that you cannot afford to miss! The full-sized 7 foot, 6 person lounger spa includes 36 gray tone jets with smaller orifices that allows for a stronger pressure and an overall better hydrotherapy experience. The spa comes fully equipped with an LED Stereo with 4×4″ Speakers and an LED Spa Lighting Package that features a cascade waterfall. 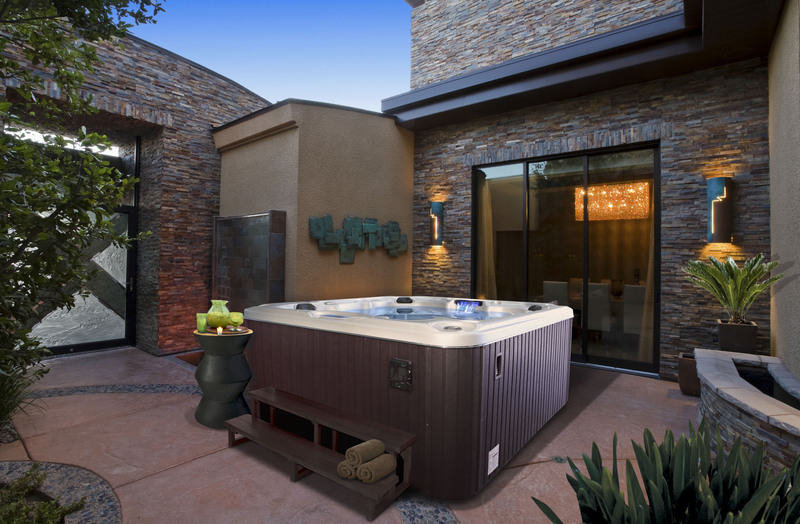 Somewhere between the cascading waterfall and better hydrotherapy experience, you’ll be asking yourself how you ever lived without the tranquility and serenity that the Cal Spas Pacifica hot tub can provide. The best part is that the full-sized spa is big enough for your entire family to enjoy! This is the best value on the market, purchase the fully equipped Pacifica spa and save over $2,000! But hurry, only a limited amount are available for purchase! Click here to watch a preview of the new Cal Spas Limited Edition Pacifica.